If you would like a copy of the map with active links email me Bev.J@infocus-careers.com.au You will need to download the free Coggle application to use the map. 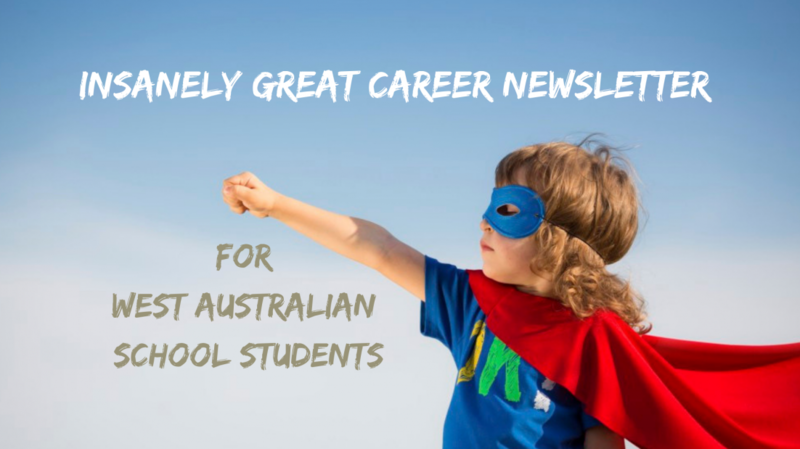 Categories: Apprenticeships, Career Advice, Jobs, Vocational Education and Training, Year 12 | Tags: Job Hunting, Job Services Australia | Permalink. Bottom line??? Getting an apprenticeship or traineeship IS getting a job… with low pay and lots of training…. which is usually paid for by the employer. When you complete your apprenticeship or traineeship you are qualified to work in your field, at your chosen qualification level. An apprentice is a qualified tradesperson (painter, electrician etc). A trainee is qualified in their chosen field (IT, hospitality, mining, child care etc). If you don’t have a career advisor at school go to one of the Jobs and Skills Centres and ask for help to find a career that matches your abilities and what you like. These Centres are West Australia’s first point of call for people wanting career help. You can do some online research at home by exploring some of these Career Tools and Resources. Once you know what road you want to take you need to find someone who will give you a chance to get started. If you are a school leaver you may not have much to put into your application. Google helps you to put together a resume HERE. Youth Central is a Victorian Government site that has job application writing advice for school students from Year 10. If you haven’t been to a Jobs and Skills Centre yet, go now. They will help you to be confident about your career choice, they will check your resume and they will explain the differences between direct employment and employment by a Group Training Organisation. The Australian Apprenticeship Support Network has been set up to support apprentices and trainees and employers. Find your closest one and contact it for help. Many jobs aren’t advertised. Let your extended family know you are looking for an apprenticeship or traineeship in … whatever your choose…..and ask them to ask their friends if they know of anything. You may be lucky to find someone you know who will give you a chance. Go online and look for jobs in the field you are interested in. Check out Seek, Jora or Indeed. Group Training Organisations employ apprentices and trainees and place them with one or more host employers. You can be rotated around different jobs in one big host organisation like BHP or government or you can be rotated around a number of small employers to help you to get experience across the industry. You can find a Group Training Organisation near you by checking HERE . Group Training Organisations have job boards where they advertise apprenticeship and traineeship opportunities. Provide mentor support to job seekers. Select which applicant to employ for each position. Place them with host employers. Pay the wages, any allowances, superannuation, holiday pay etc. Make sure good quality training is happening, both on the job and off the job at TAFE. Care for apprentices/trainees and host employers. There is plenty of online help to improve your interview skills. How to Blitz Your Job Interview. Some industries have mentors. They are usually leaders or experts in their industry who volunteer their time to help new people to succeed in their industry. Your chances of getting and succeeding in an apprenticeship or traineeship can be vastly increased by getting a mentor. You can find a list of mentors HERE. The world of apprenticeships and traineeships can be confusing. Finding your way from school through the hoops required to land an apprenticeship or traineeship can be tough. Categories: Apprenticeships, Career Advice, TAFE, Traineeships, Vocational Education and Training | Tags: Apprenticeships, Group Training Organisation, Leaving school, Traineeships | Permalink. How good is your handshake? The Apprentice Site Support Advisor at Rio Tinto said nothing gives her a worse first impression than a weak or bone crusher handshake. Companies are preparing their 2019 apprenticeship vacancy ads so it was a good time to hear employers and three apprentices talk at the CCI Developing Our Future Workforce workshop. One employer said he goes on “Gut Feeling” and others agreed with him. The gut feeling started with a good written application. School leavers can get tips on how to write a good resume and cover letter HERE at Youth Central. Check this video. It gives tips on how to make a good impression. Apart from having a friendly handshake you can give a good impression if you dress neatly, smile and show that you have done some research on the company. The apprentices on the panel found their jobs through Seek.com.au or through a career advisor. Two people on the panel worked as Trades Assistants as they applied for apprenticeships. This gave them industry-ready skills and showed they were interested in the work. Employers liked applicants who had done volunteer or part time work as it showed their enthusiasm and meant they would have some work ready skills. Work experience in the field looks good on a resume. Good school results, particularly in metals, maths and engineering were indicators that you might be a good apprentice. Taking a folio of photos of projects they had worked on was a good idea. Start working towards your driver’s license as soon as you turn 16. One student was doing the off the job training at North Metro TAFE and said the lecturer was great and made sure they all learned what they needed before moving on. Another was studying through Westrac and said they were great too. The other was with Programmed which trains FIFO apprentices for two years in house before they go out on site. Women and girls interested in trades may find the Programmed National Energy Technician Training Scheme worth applying through. They have 38% females in their trades program. Australian Apprenticeship Pathways has a range of information on how to get an apprenticeship. Categories: Apprenticeships, Career Advice, Vocational Education and Training, Year 12 | Tags: Apprenticeships Traineeships | Permalink. Getting an apprenticeship at Hofmann Engineering would be like winning lotto. Care for ALL employees, excellent training and opportunities to work in a world class company are part of the package. Hofmann Engineering is based in Ashfield and employ 600 people around the world. They sell steel machinery to China, supply machinery to the mining industry and do detailed precision work like refining parts for Collins-class submarines and fighter jets. Hofmann apprentices are required to undertake a Diploma in Engineering as part of their apprenticeship. FREE: I am happy to read your application before you send it in. Early registration of interest and questions are welcome. Categories: Apprenticeships, Career Advice | Tags: Apprenticeships, Engineering | Permalink.